As the world’s built environment rapidly changes, SAH provides leadership to ensure that knowledge and understanding about architecture, landscapes, and planning form the foundation for assessing new design solutions and conserving the world’s cultural heritage. The Society aims to equip the public to think critically about the central role that architecture, design, landscapes, and urbanism play in the quality of everyday life. 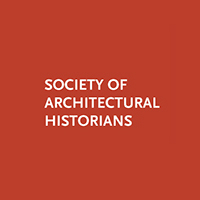 Founded at Harvard University in 1940, SAH has a distinguished history of providing services for teaching and design professionals and institutions that educate the public about the history of the built environment. In addition, SAH has always welcomed individuals of every profession who simply enjoy learning about the history of architecture, landscapes, and urbanism. In addition to its print and digital communications, the Society also promotes experiential learning by organizing a wide variety of study tours, seminars and programs at its landmark headquarters Charnley-Persky House and around the world.